Pierre Karleskind, in his role as President of the CPMR’s Fisheries Group, visited Hauts de France on September 19, and Sicily from September 28 to 29 as part of the Blue Sea Land event. 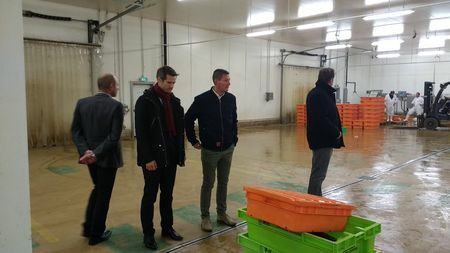 These meetings offered the opportunity to discuss the challenges of the fisheries sector in these territories with local professionals and elected representatives, as well as the implementation of the Common Fisheries Policy (CFP) and the future of the European Fund for Business Maritimes and Fisheries (EMFF). As President of the CPMR’s Fisheries Group, Pierre Karleskind will speak at the Tallinn conference on the future of the EMFF organised by the European Commission on 12-13 October: http://www.emff-now-and-then.eu/. In Hauts de France, these issues have been addressed in the light of common problems with Brittany, such as the renewal of the fishing fleet and its men, training, sustainable management of the resource, Brexit, implementation of the regulations governing discards, and the requirement of traceability and transparency. In Sicily, he met Antonello Cracolici, Minister of Agriculture, Rural Development and Fisheries of the Region of Sicily. He also spoke at the meeting of the Agriculture and Fisheries Commission of the Conference State Region of the Italian Government. In terms of fisheries, Sicily and Brittany are closely comparable, given the importance they place on sustainable resource management, the reduction of fleets and the ageing of vessels, and the need for economic modernisation. Sicily is also facing competition from Mediterranean countries outside the EU, not subject to the rules of the Common Fisheries Policy (CFP). Pierre Karleskind, President of the CPMR’s Fisheries Group, said: “This is a situation we will also face in Britain soon with the Brexit. I hope that the external dimension of the CFP, the reciprocity of political and technical commitments, will be central to the next policy’. 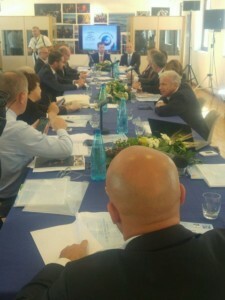 During his visits, Mr Karleskind stressed the need to return to the foundations of the CFP, born of the post-war experience, like the EU’s Common Agricultural Policy (CAP), to feed Europeans by guaranteeing a decent income to the producers. Without calling into question the issue of the sustainability of activities, this calls for a rebalancing of a policy that has moved away from its original vocation. It also calls for greater pragmatism in the implementation of objectives, such as the obligation to land all catches and prohibit discards at sea. 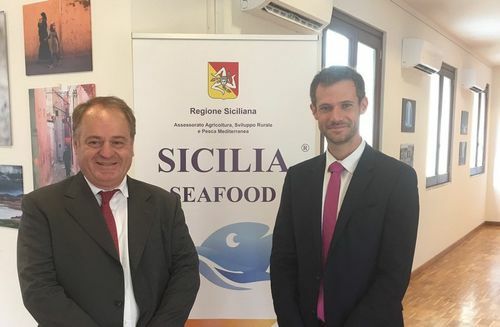 Antonello Cracolici and Pierre Karleskind identified common priorities during their discussions, including maintaining and developing artisanal fisheries, renewing the fleet, setting up quotas on a multiannual basis with countries outside the EU. Concerning the European Fund for Maritime Affairs and Fisheries, the two elected representatives made a common observation that the fund was too centralized and that there was a real lack of flexibility. The need for simplification is urgent and the regions are in the best position to make the necessary improvements.